Achieve It aims to make using and tracking achievements easier. 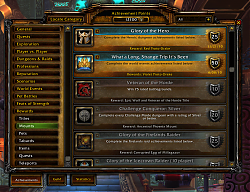 Built directly into the existing Achievements frame, it provides a number of modifications. 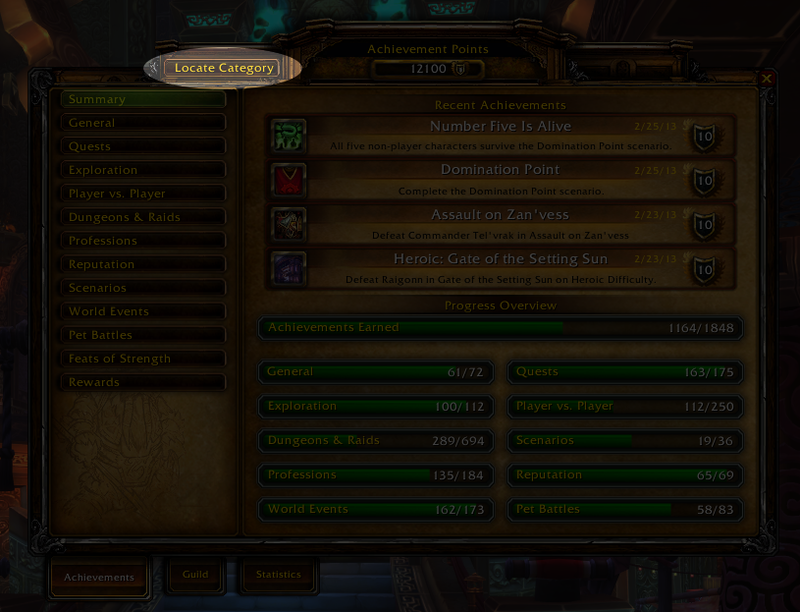 Achievement categories are broken down into further sub categories. 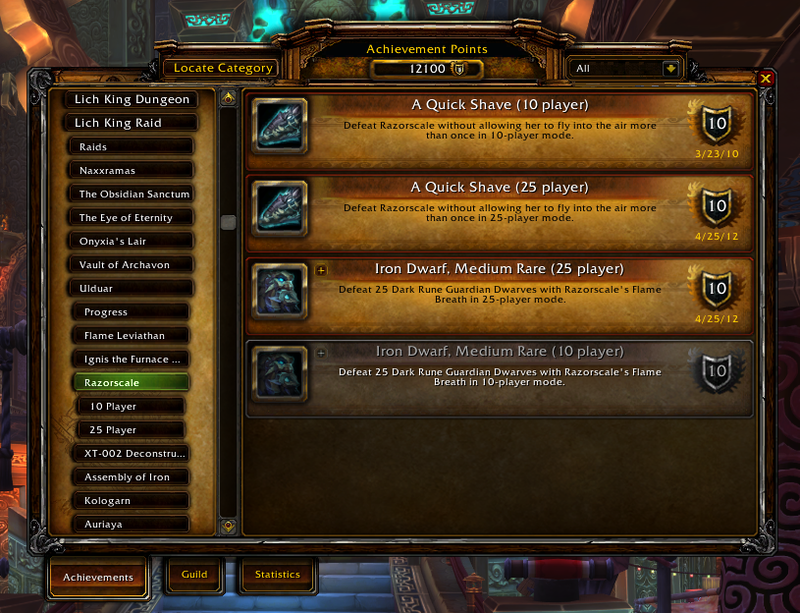 New "Rewards" category listing all achievements that give a reward. 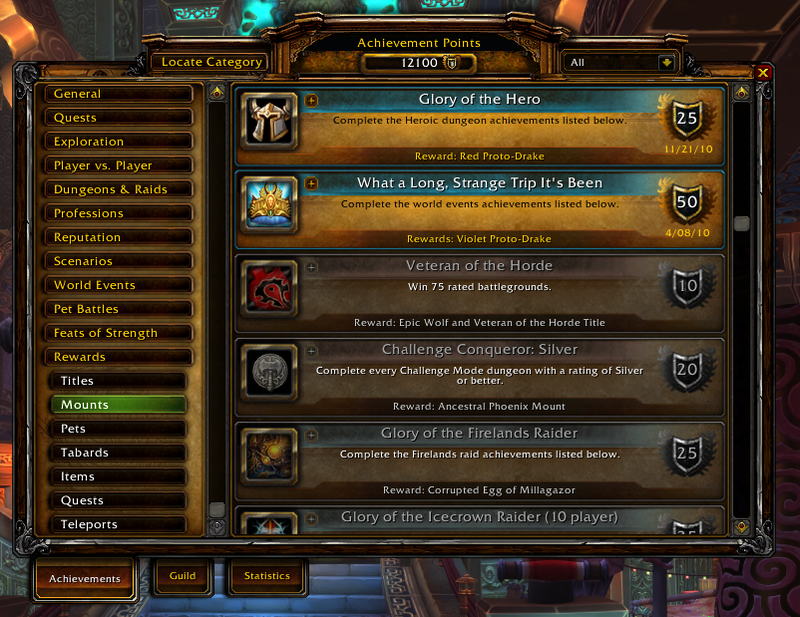 New "Rewards" category listing all guild achievements that give a reward. The Locate button will automatically open the relevant category based on your location. It will even detect when you are near a boss and open the category for that boss. * Optimisations reducing addon file size by 80% and memory usage by up to 40%. Woo! * [feature] Added the "Locate Category" button. This button will automatically open the achievement category based on your current location. 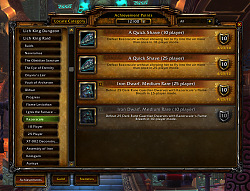 Fantastic addon Just letting anyone interested know that it still works well as of May 2014. In the Titles, toward the end there's a blank space the size of one of the 'slots' for a quest. It comes after Stormbreaker, and before Deadly Pet Brawler. It shows up in the same place in the list if you just click Rewards without choosing a type. I'm still looking at this and figuring out how to use it. Looks great! Any idea if this will work with Overachiever? Checked it out... seems like they work together. Good stuff!